A lot of people have asked me, what happens if Buhari “falls your hand” after all your faith in him? What APC fails you and you supporters? I trust Buhari and his party APC not only to do better than Jonathan, but to do great for Nigeria. (3/10 is better than 2/10 but it is still a failure. 8/10 is a great score). However, in the unlikely event that he fails there has to be consequences and that consequence is electoral failure in 2019. If they fail, his government should not be reelected, period. In reality, people fail people, people fail themselves. Sometimes, through no faults of themselves, sometimes by crass incompetence. But failure remains failure. In the matters of 170+ million, “he is trying his best” is not acceptable. There is no organization that can be great if there are no consequences for poor behavior and failure. One of the great deceptions and enemy of good governance and is that there is something called “a complete term” for a President or any electoral office. There is a reason we have 4 year terms. You MUST earn an extension of 4 years is should never be automatic. In politics, losing power is the ultimate disaster for a politician. It is why they are beholden to anyone or thing that can guarantee they hold unto power. If staying in power is guaranteed by serving the Godfather, they’ll serve the Godfather. If it is by having money and buying their way, they’ll steal money, and buy their way. We can clearly see the difference between Pre 6 weeks postponement Jonathan and Post 6 Weeks postponement Jonathan. Once he realized he would lose the election, he began doing what he should have done in the previous 4 years. If Jonathan wins this election, there is no reelection to require he sits up. There will be no 6 weeks extra time. There will be nothing to hold him with. BTW, Gbengba Sesan has told Buhari this to his face. When it comes to trying to progress, there is nothing more infuriating than an incompetent person insisting his efforts are the best that can be. And goes further to stop anyone from trying since all that can possibly be done has been done. You would recognize it everyday in Nigerian conversations. They’ll keep going on. Their minds are capped Just like Doyin Okupe who said the Nigerian economy cannot support new trains. They are quick to excitedly measure Nigeria against the worst slums in US, pollution in China and plane mishaps in Malaysia. They measure downwards. If only they would get out of the way for someone else to show them it can be done. But they won’t. They are as stubborn as they are visionless and mediocre. And that is holding us back. They sincerely believe having a few trains is progress enough. They ridicule you for daring to think we can and should do better! They admonish you for being ungrateful with the single digit growth of the economy. For the taring of Lagos – Ibadan road. For the promise of a single bridge across the Niger. 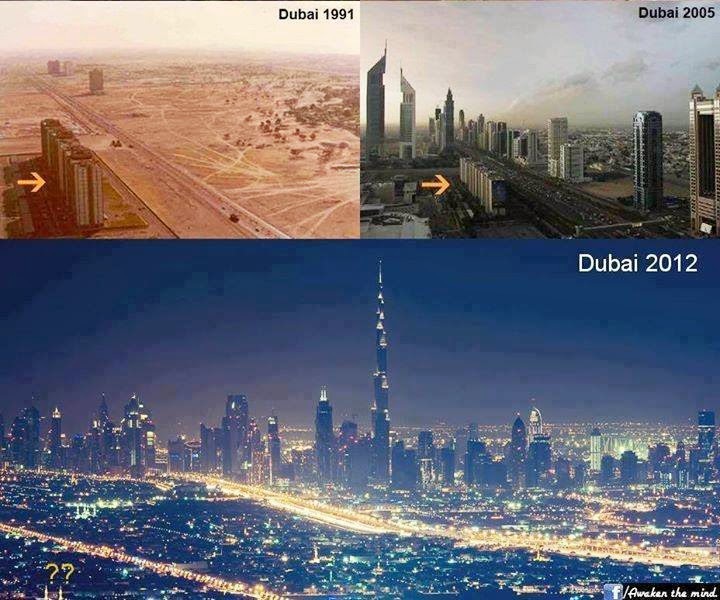 The above shows infrastructural progress in Dubai within a few years. It is as a result of deliberate planning based on a vision. It did not just happen. Show these mediocres this and you will be given a reason why it is justifiable and why we are still where we are. These people are our enemies without? knowing it. They are not content with being blind, they want to blind us all. We cannot let it happen. This Covenant is to outline my agenda for Nigeria and provide a bird’s eye view of how we intend to bring about the change that our country needs and deserves. This Covenant is derived from the manifesto of my party, the All Progressives Congress (APC). It however, represents my pledge to you all when I become your President. via My Covenant With Nigerians. Quite a number of people have sincerely asked about the articulated agenda of Buhari. The above is an excerpt of the letter preceding the Buhari Agenda. You have something to hold him against. Please do read and share far and wide. Like is appealed in his video statement, please give Buhari a chance. We have given the present occupant a chance and he has failed. Let us give another Buhari a try. via Nigeria drafts in foreign mercenaries to take on Boko Haram | Reuters. Rather than empower our soldiers and train millions of our unemployed and capable citizens to guard, this government would rather pay mercenaries. What’s more evil is they are paying these guys in a day far more than they pay our guys in a month. Isn’t that pathetic and evil? If course, there is “little issue” of empowering the various tribal militias within Nigeria with contracts. Ensuring they have the cash flow to recruit more members and stock more weapons. Jonathan is dangerous to the survival of Nigeria. There is absolutely no way Nigeria can survive four more years of his ‘leadership’. Of course there are a bunch of Nigerians that see nothing wrong. Their myopic brains cannot process implications beyond 28th of March. ALL FORMS OF CORRUPTION (BRAZEN or TECHNICAL) ARE BAD AND SHOULD BE PERSECUTED. The number one symptom of resident Nigerian leaders is what I call treasonable corruption. Treasonable corruption is corruption that weakens the state and its citizens. This story below will show the difference between corruption and treasonable corruption. There were two politician friends. The one from Nigeria called OJBee and the Italian called Belunisco. Belunisco then took OJBee to the 30th floor penthouse of his latest luxury apartment and pointed far away and said “You see that bridge over there?” OJBee responded “Yes, Yes, Yes”. Belunisco replied, “15%”. 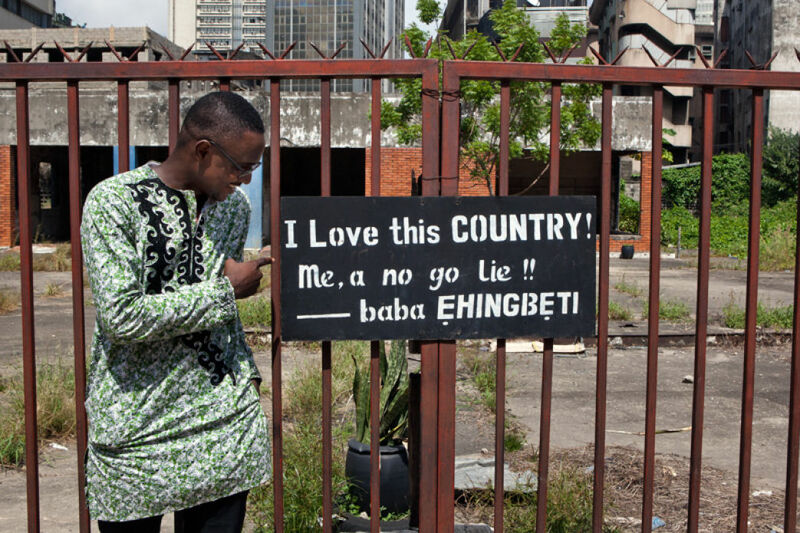 OJBee thanked Belunisco and invited him to visit Nigeria in 18 months. “I will retaliate” were OJBee’s parting words. In 18 months, Belunisco visited Nigeria and retaliate OJBee did! OJBee showed him his latest Estates “Do not mind these useless bad roads” as they galloped in OJBees latest jeep. “I have 7 more jeeps in case this one spoils. I spent $1 million on big generators and I have diesel supply for the next ten years. “I made $100 million in 18 months.” OJBee said smiling. They took a helicopter ride to Onitsha. “You see that second Niger bridge?” OJBee asked. Belunisco replied, “No”. That my friend is treasonable corruption. While Belunisco is corrupt, OJBee is treasonably corrupt. Corruption is everywhere in the world and does not lead to underdevelopment. Treasonable corruption does. Corrupt citizens do not practice treasonable corruption. Corrupt residents do. Take a look at Abia and Lagos states and compare the level of development in both states since 1999. The PDP and Igbo apologists who all have their houses in Lagos would want you to believe that they are all the same when it is clearly not the case. I remember last couple of years during the deportation saga, shameless Orji Kalu was trying to lay so much claim to Lagos on behalf of the Igbos after putting his state on the path of penury. Here is and illustration expanding further: State A and State L have allocation of N1 billion/month. The principal of State L finds a way of increasing it to 10 billion/month and diverts N5 billion monthly for personal use and uses the remaining N 5 billion to develop the state. You can decide to say the State L guy increased revenue by 4 Billion monthly or squanders 5 billion monthly (it’s both). You can decide if State A is better than State L since he stole “only” 1/5th of State L or if he is worse by stealing 90% of State A’s income. A huge problem is that in a land filled with State As, the state L guy is clearly king. My opinion is simple. Both of these guys are thieves and should be jailed ( I actually want worse but I digress). However, if I were forced to choose between the governor of State L and State A, my choice is very clear. State L every time! Now the PDP is trying hard to convince people that A and L are the same instead of clamping down on both or at worst having L to be the minimum acceptable. PDP is so endemically corrupt that rather than persecute Tinubu a political enemy who they say is corrupt and has had no immunity for 8 years, they decide to do a documentary whilethe PDP goons and zombies cheer on seeking their turn. Elections on the 28th of March everyone chance to make a statement. Either endorse the way things are or vote to CHANGE it and try another. Over 300 days after the abduction of over 200 school girls from Nigerian territory, the Jonathan administration sent Okonjo Iweala to Chibok. She is the highest member of the administration to visit the location of the scandal that would define Jonathan’s ineptitude as Commander in Chief and Chief Security office of the Nigerian state. Okonjo looks to be in somber mood. NOT! 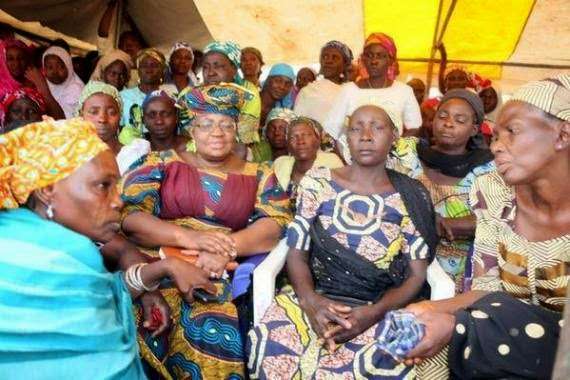 However, it is pertinent to note that barely a month after the abduction of the girls, Okonjo Iweala stated that she was tired of having to talk about the Chibok girls. When it became clear to Jonathan that he would lose the 2015 elections and his legacy would be tainted forever, he orchestrated the postponement of the elections for 6 weeks and began to trying to fulfill the responsibilities for which he was elected. The Nigerian army (arguably lead by Chad) is now claiming back lost Nigerian territory and wiping out the rag-tag terrorists. 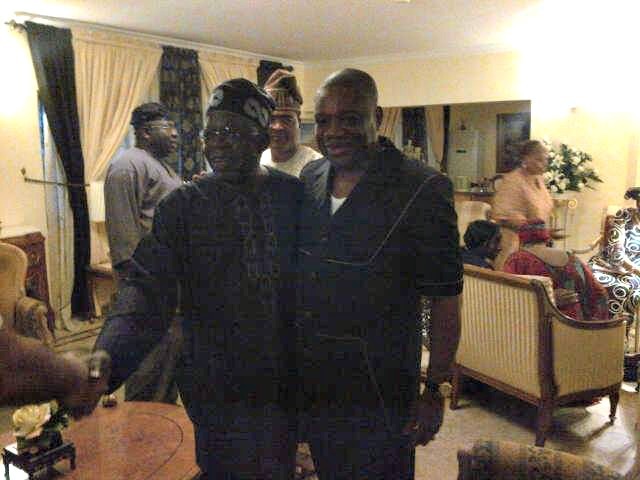 He even visited Baga and Mubi where he previously said his presence wasn’t important. This brings me to the question Jonathan would have to answer when this is all over. 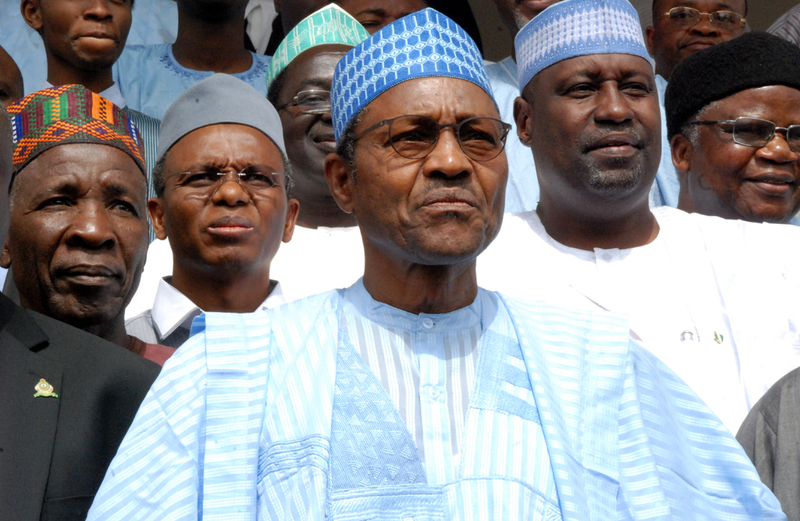 What would have happened if Jonathan’s Presidency was not at risk? What would have happened if elections were one year away? We’re aware of the answer to the second question which is ‘nothing’. Boko Haram would have continued killing our citizens and gaining Nigerian territory. Political expediency is the only reason Jonathan decided to protect the citizens he swore to protect. 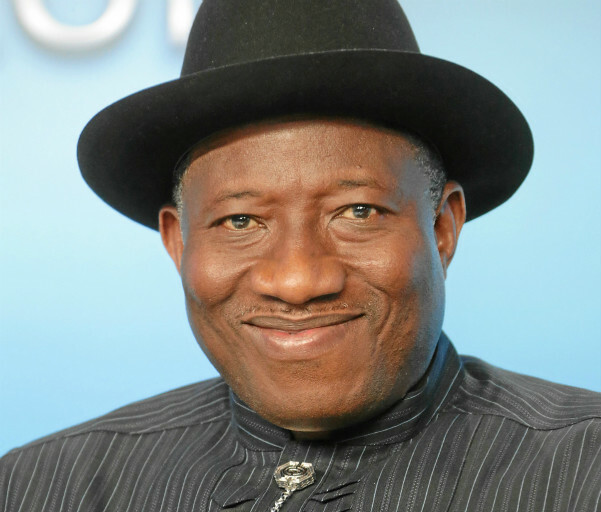 Boko Haram is being as a political tool by Goodluck “I treated Boko Harem with kid gloves” Jonathan. Thankfully, the citizens have not been fooled. They were not fooled by the phantom fuel price reduction which has cost Nigeria a few hundred billions of Naira and they wouldn’t be fooled by this emergency onslaught of Boko Haram. If Jonathan knew in April of last year that the Chibok girls would cost him his elections, he would have done something in the 36 hours it took Boko Haram to organize the logistics to carry the girls. Rather, he and a number of our treacherous fellow ‘citizens’ denied the existence of such incident. 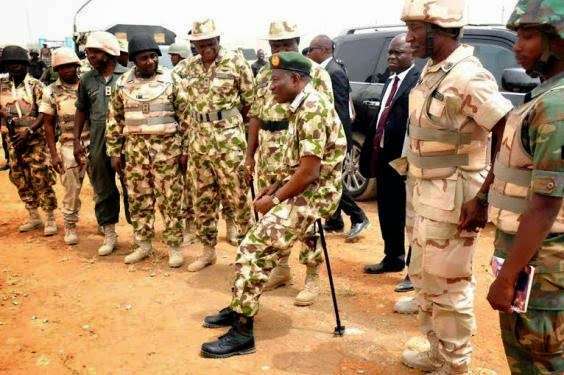 If Jonathan knew that allowing Boko Haram to grow from a few ragtags that could be handled by the Nigerian police to an armed unit embarrassing our Army, he wouldn’t have treated them with kid gloves. If Jonathan looses this election, then whoever becomes President would be aware that the people can vote them out if they decide 6 months is too long for the Universities to be closed down or that young citizens dying because they decided to look for a job is unacceptable. However, if Jonathan wins this election, it would be clear that being in power is all that matters to stay in power. Loosing 5 states to a bunch of rag-tags and squandering off all the nations wealth would not be such a big deal. Borrow money from the Chinese to refurbish a few trains and you’ll be guaranteed your birth right of two terms would be given to you. It’s left to us to decide the message we want to send. 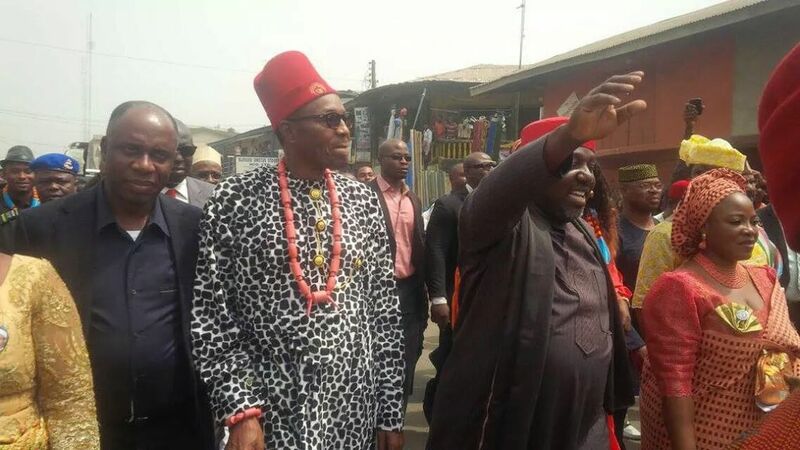 Guest Post: Why I Will Vote Buhari – Igbo Boy. My friend, a “real Igbo Boy” sent this post for me to publish. Due to political circumstances, he cannot be seen publicly supporting Buhari. (Yeah Yeah, free elections indeed). Therefore I cannot include his name. If there are 3 Igbo boys around, this man would be counted. So personally, it is a big deal that he sent this in unsolicited. Now, let’s hear the Igbo Boy. I like Buhari. I am not going to bore you with facts and figures nor would I pretend that my reasons are rational. Voting, I believe, is usually based on an emotional decision. Anyone trying to convince us to a contrary view does not understand the decision making process that goes into voting. So this is my attempt at trying to discover or explain the first sentence of this article. Maybe it was because of the stories I heard when I was growing up. We all heard the stories of former leaders and the effect that they had. Of all of them, the stories about Buhari/Idiagbon and Murtala resonates the best. Murtala was the one that tried to stand up to the west and their exploitation of Africa. While Buhari tried to curb our penchant for what Feyi Fawehinmi termed as “Anyhowness”. All the old heads from my younger days say that there was a semblance of order and corruption was not visible as it once was. it must be said here that I wouldnt vote for Murtala if he was on the ballot today. I know what he did during the Civil war. There are similar allegations against Buhari. Perharps the evidence presented against him does not sway me emotionally. Or maybe I just think they are cooked up for the elections. Outside his service as HOS, there are also stories of lifestyle. He is said to be honest, ascetic and humble. He drove himself around Kaduna and even queued at filling stations. Now this is a big deal for me. I grew up in a town were people really hate haughtiness. Everyone knew everyone and the town wasn’t affluent so displays of wealth weren’t just frowned upon, it was punished. So the usual show-offs by our political and economic elite specially irks me. So anyone who has a reason to be haughty and proud but declines to do so gets a from me. Then there is PTF. There seems to be an attempt at a critical re-evaluation of his service at PTF with mixed results. Some say that his work was largely sectional. That projects were skewed heavily to the northern part of Nigeria. Others have concluded that the PTF was corrupt. citing the report of the Panel constituted by Obasanjo to investigate its activities. Well, I was old enough to be conscious of the current affairs at the time. I make bold to say that my impression and that of those around me at the time was that PTF was working. I saw the refurbishment of the makurdi-Otukpa road by PW that PTF paid for. The Enugu-PH road was also partially refurbished at the time. I read books donated by PTF in my local school library. This was the first time that I experienced an agency of government actually delivering on governance. It may have been a wrong impression but it was my impression at the time. We may take this for granted but I grew up in the late 80’s and 90’s. I saw the government as people that just locked up citizens whom they feel had insulted them. To put this in a better perspective, the first time I saw water gushing from a tap connected to the Waterboard was when I was 19. So please excuse me for liking someone who delivered on governance. Lately, there has been genuine questions raised that has dimmed his star for me. The baboons and Blood speech and the recent interview with Thisday springs to mind. But my sub-conscious finds an explanation for these two. Firstly, everyone is allowed to make daft statements once in a while no matter how grievous we find them. If you judge everyone by the most unpalatable things they have said, then Churchill should be classed as a racist for the things he said about the Mahatma. Same goes, albeit in a lesser weight, to the Thisday interview. (although a larger part of me wants to listen to the audio-transcript). These are the reasons why I voted him in ’03, ’07 and ’11. That is why I will vote him in 3 weeks again. I feel that he is the best man for the job. I feel that his disciplined and ascetic posture will set the right tone in our government with regards to corruption. Yes, I feel corruption is a big part of our problems and yes I know that one man can change things. Yes, I believe that that man is General Muhammadu Buhari. The President of Nigeria wields enormous powers in reality. He/She commands all our institutes of coercion. Due to our dependence on Oil, He/She also controls our economic fate. In organisations and communities such as ours, people are leader watchers. We look to see what the leadership is doing and then we conform to or resist their actions. This is why it is important that the president has the right comportment, exudes the correct confidence and communicates leadership. One who leads by example would totally change us. We can’t have a president that feels that some sorts of stealing shouldnt be prosecuted. This means that the “anyhowness” that plagues us will deepen and worsen. We cant endure a President that would dilly dally in matters of security. neither do we need a President that would doubt us when we say that our daughters are missing. I will not be confident in his abilities to protect me. 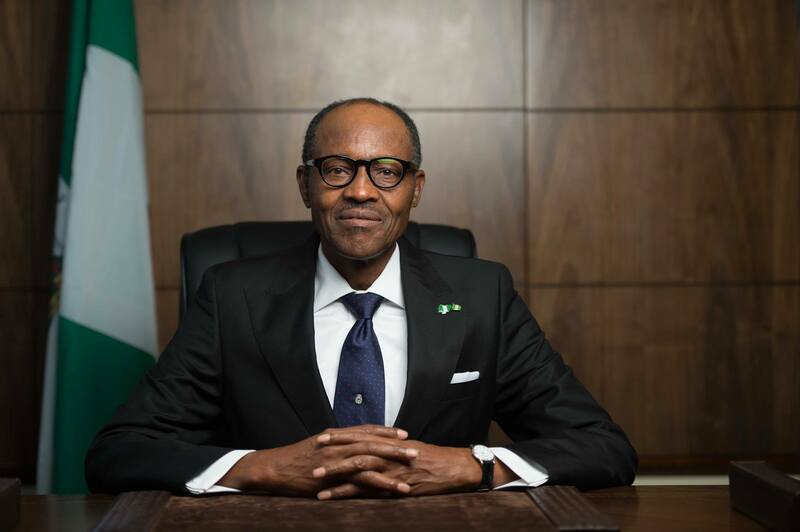 Without doubt, the current President is the best in my lifetime in terms of infrastructural development. But if I don’t feel safe, eventually, I’d be too scared to ply the roads or use the trains. I really value loyalty. I rank it as one of the highest virtues that a man may possess. I admire our President’s loyalty to his friends and acquaintances even when their incompetence seems to hurt him. To be honest, I’d rather go down to the bar for a shot or two with the current President than Buhari. But the standards for being my friend are unexpectedly lower and different from the standards required of our President. That may be why I won’t be voting for this President. That is certainly why I will be voting General Muhammadu Buhari. Oo, Why Not Jonathan? Here Are 3 Reasons. As a sequel to my post stating my reasons for supporting Buhari, this post highlights my reasons for not supporting the incumbent Nigerian President, Goodluck Jonathan. So why am I against Jonathan? He and his government have failed woefully in their PRIMARY responsibility. The PRIMARY responsibility of a government is to secure the lives of its citizens and territory. Every other thing is added to its primary function. Healthcare, Economy, Education, Agriculture, etc are secondary. Extremely important, but secondary. Hundreds of Chibok schoolgirls were abducted and it took Jonathan 3 weeks to believe it was real. Taking advice form Asari Dokubo and co, it was his belief it was the work of the opposition. Sadly practically all those girls are gone for good. Over 100 policemen and women were slaughtered in Nasarawa State by a sect. Yes, 50 times more than were killed in New York. Nope, it did not register on President Jonathan’s radar. The only official retaliation was “forgiveness.” Yes, it is true. Scores of pupils were killed in Yobe as they slept in their boarding house. 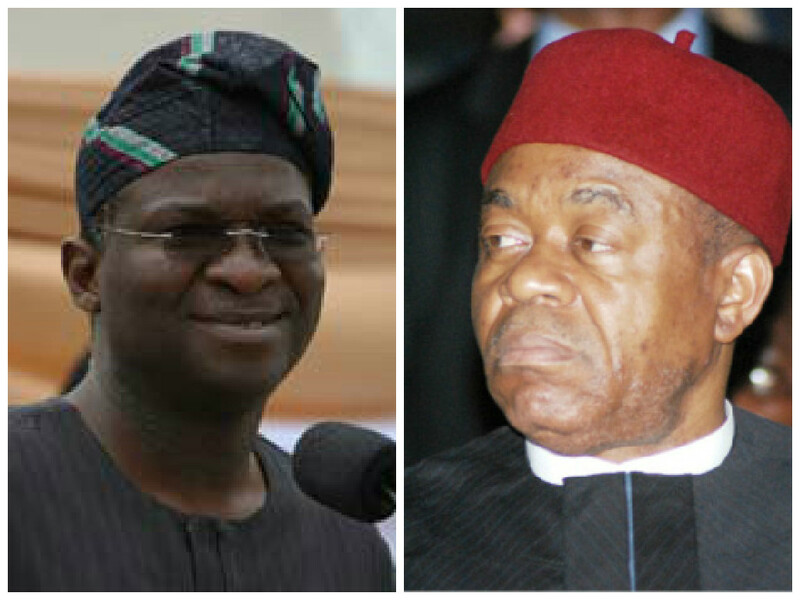 The condemnation exercise was delegated to Abati. Hundreds died in a bomb blast in Nyanya, the only “suspect” of that incident was sent free. The only outcome of that was Jonathan dancing at a rally in Kano in retaliation the day after. Oh! It was on that day the Chibok girls were terrorized. The above are just highlights of the callousness and insensitivity to the lives of our citizenry by this president, and any of the above is enough to ensure he does not get re-elected. There is actually a list that captures some of the legacy of President Jonathan in securing the citizens of this nation while not giving a damn. The heading says it all. No land, no nation. Under Jonathan’s supervision, a bunch of ragtags were empowered enough to do from sporadic shootings to controlling over 3/4 of the local governments in Boronu state, a large chunk of Yobe and major cities in Adamawa state. Jonathan actually made a speech in which is admitted treating Boko Haram with “kid gloves”. of course he once stated Boko Haram were “our siblings” It is now clear why these ragtags were encouraged to grow in strength under Jonathan’s administration. The Central Bank Governor accused the NNPC of not remitting over $20 billion of Nigeria’s income to the federal account. Jonathan moved fast, not to investigate or clamp don on the thieves, but to fire the whistle-blower. The Minster of Finance promised a “forensic investigation” whose report is months overdue. The same minister is not aware of the bank account that holds the revenue from the sale of Nigeria’s crude oil. ₦2.1 trillion was paid out for oil subsidy in 2011 up from ₦168 billion in 2011. The children of PDP bigwigs such as the Ahmadu Ali were fingered. In retaliation, President Jonathan appointed the Ahmadu Ali as his campaign director. In an act of commitment towards the fight against corruption, Jonathan gave a state pardon to an indicted corrupt past governor of Bayelsa state , Diepreye Alamieyeseigha. These instances above of state sanctions corruption is merely a drop in the bucket. The worst thing is, Jonathan who has been at the helm for SIX YEARS takes ZERO responsibilities his failures and the government he leads. It is either blamed on the “opposition” and zero actions taken, or on people that were presidents 30 years ago. Give him 4 more years and it will be the fault of those that left 25 years ago. The above are a summary of why I oppose a continuation of this government headed by Jonathan for another 4 years. I sincerely believe if this continues, there will be no nation called Nigeria. There are several other points I have overlooked deliberately. I do not need to talk about the failure in provision of infrastructure and the failure to improve the power sector. I will not even talk about his relationship with the initial financiers of Boko Haram etc. My points above are enough and are verifiable nationally and internationally. Come February 14th 2015, Nigerians will have a chance to either endorse the activities of this grossly incompetent and irresponsible government led by Goodluck Jonathan who has woefully failed to fulfill the oath of office he made on May 29th 2011, or kick him out of office. A friend and recent convert to the Buhari candidacy told me how he came about supporting Buhari. According to him, in the last election, he noticed how desperately Buhari’s opponents tried to disparage his character and wondered why all they had in their ammunition were either petty, unverifiable or doctored information. He wondered why they could not focus on facts and substantial issues. He looked closer, decided to scrutinize and the rest is history. This is 2015 and the game play is repeating itself. If you point out that under Jonathan, 20 of the 27 Local Governments of Bornu State have been surrendered to the control of Boko Haram, PDP goons respond asking for Buhari’s certificate. They want you to believe Buhari who was once the Minister of Petroleum, A Military Governor, Military Secretary, Head of State etc achieved all that without an education. Buhari has served our nation gallantly and at worst he deserves not to be lied about. Abubakar Tafawa Balewa University, Bauchi.